transcript: Hello, everybody, it’s Randy Selzer here. Thanks again for coming back to my YouTube channel. 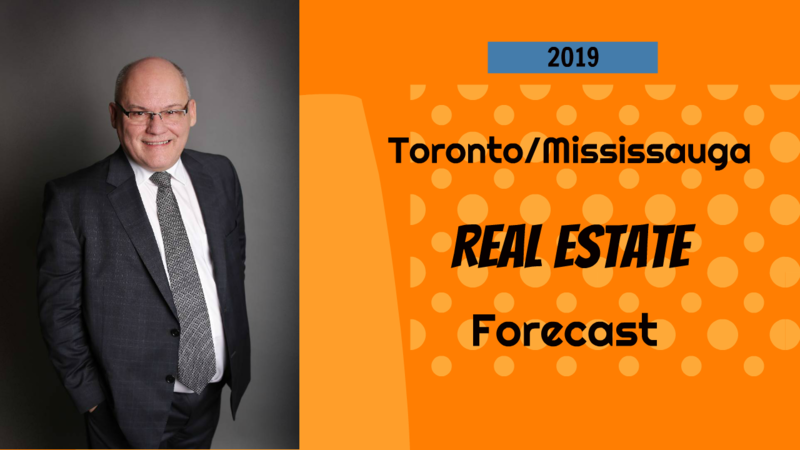 Today we’re going to talk a little bit about the state of the Toronto real estate market, the state of the Mississauga real estate market, where we are at and where we are headed. Every day, I talk to people in the industry, I talk to customers, I talk to bankers, I talk to other agents. And I can tell you without a doubt that right now there’s probably more confusion about where the market is headed than I’ve ever seen in my 25 years of selling real estate here in the GTA. A lot of people just don’t know where we’re going to go from here. The prices are so high, we’ve had such a run up, and people are really not sure. I get a sense also, that the governments, local, provincial, and federal are not too sure either, exactly where we are headed. What we are dealing today is still with the after effects of an imbalance between supply and demand. Toronto specifically and the GTA in general is in a very lucky place right now, where we are very popular on the world stage, we’ve got a ton of people moving here every year, and it’s sort of a perfect storm. The economy is very good creating high paying jobs, and this has helped to create this imbalance between supply and demand. And many of you will recall that the governments have tried to slow it down starting a couple of years ago, when they brought in the foreign buyer tax. And I did a video back then that I still look at some of the comments on it, where people were outraged where I suggested that maybe just perhaps prices were not going to crash. Since that time, there have been other measures that they brought in, the so called banking stress test, which is probably the single greatest factor that’s affecting the market these days. So what they did was the governments became alarmed for various reasons that the prices were getting just too high. And so they tried everything they could do to try to mitigate that. And they brought in the stress test as just one of the things. There were a lot of things behind the scenes that made it more difficult all of a sudden for people to get a mortgage, especially for people like self-employed, new to Canada, anyone without perfect credit, it became suddenly very hard to get that loan. What we have to ask ourselves is what the government has done here, is that really killing the demand? Is it changing that equation between supply and demand? And I believe that is not the case. What they’ve simply done is they haven’t killed the demand for housing in the GTA. They’ve simply made it harder to get a mortgage. I’ve always maintained that there are three things or what I like to call three pillars that are driving the market. And those three pillars are number one, low interest rates, number two, a good economy, and number three, immigration. Those are the three factors, which have boosted our local real estate market over the past several years. That has created an imbalance because we’ve actually become too successful and nobody planned for that. Nobody planned for if you let in a lot of people into the country, where are they going to live? There’s never been any management of that process. So here we are, and we have to ask yourself, where’s the market headed? If you take those three pillars and look at them, there’s a couple of things that are very interesting. Number one, the interest rates. Late last year, all the people were predicting that rates were going to rise this year, people were certain that because the economy was booming, they were going to increase the interest rates. But what has happened is because of a few things, perhaps on a world level, the election of Donald Trump, a few things that have affected the economy, the Government of Canada has decided not to raise interest rates this year. We had five actual rate increases in 2018. But what we’re seeing now is that the rates are actually falling. So if the rates fall throughout 2019, and it’s also an election year, which is another thing to consider for the current government, they want to stay in power. So they’re going to make sure that people are not being squeezed too hard. And I believe the interest rates are not going to go up for the rest of 2019. So that’s still in place. The second pillar that drives our market, which is the booming local economy, and Toronto and the GTA is just phenomenal, it just doesn’t stop. We have a tech boom here and those are creating thousands of high paying jobs. These are jobs that pay in the six figures, and it allows people with enough disposable income to go out and buy a condo or buy a house. We are not a one-horse town. I mean, there are given take things or things that affect us. The recent closure or the pending closure of the GM plant in Oshawa is a huge issue. For most cities, that could be a death blow. But in Toronto, we just seem to roll over it and continue on with other jobs in other sectors. So the job market is very good. And in fact, if you look at downtown, I was just reading yesterday there are over 100 construction cranes for both condos and office buildings in the Toronto area, which is more than New York, Chicago and LA combined. That’s how much construction is going on. There are several, there is at least about six major office towers going up downtown and these are like million square foot towers that are currently under construction. That shows you how strong the job growth is right now. So that’s not going down either. And then when we look at immigration, which is I think the key factor here. The government’s own figures are showing that they are expected to let in 330,000 people in 2019 into Canada. 330,000. And it’s been typically the case where about one third of those tend to settle in the GTA. So we’re looking at again, another year of at least 100,000 people moving to the GTA, and guess what, all those people need to live somewhere. They need a place, a roof over their heads. The other factor to consider about immigration is that today’s immigrants typically are young, they’re educated, and they have money. Unlike years ago, if you go back 50 years, most of the immigrants were from Europe and they didn’t have much money. Today’s immigrants are young, educated, and they have money. And when they come here, one of the first things they want to do is to purchase a property if they have the wherewithal to do that. So that is also affecting us in a big way. So, people talk about house prices and where are we headed? Well, there’s been a couple of developments. Again, because of these changes in the marketplace, it has had an effect. The government’s stress test, the foreign buyer tax, there’s a few things that have affected the market. And yes, certain sectors of the real estate market have gone down. Houses, for example, gone down about 2.1%. And I think that’s largely a factor of these houses are very expensive. Today, to buy a detached house, you’re looking at upwards of a million dollars in the GTA, both in the suburbs and in the city. And not everybody can qualify for a million dollar house or $800,000 mortgage, it’s very difficult to do. That sector of the market has fallen, whereas condos on the other hand, are up about 6.1%. And that’s year over year, and I suspect you’re going to see that trend accelerating because they’re still relatively affordable. People can purchase them, they can qualify for them and they can buy them. And that is it in a nutshell. The demand is still there. People think that the government tried to kill the demand, but they haven’t. The demand is coming from those three factors. Low interest rates, a strong economy, and immigration. None of that has changed. All they’ve done is make it difficult for people to get a mortgage. So people say, “Well, why are rents so high? Why does it cost $2,000 a month to rent a one bedroom apartment in the city, or $3,000 a month to rent a two bedroom?” Well, there’s your answer, because the demand is still there. A lot of those people that are renting probably would love to buy a property, but they can’t afford to do it. So they’re in the rental market, and that again, drives that demand and the rents. Basically landlords get what they can get. And if people are willing to pay 3,000 a month for a two bedroom, that’s what they’re going to charge. So that’s where we’re at. My forecast for the rest of the year is I am cautiously optimistic in 2019 because the three factors that drive the market are still there, they’re still present, and they’re still strong. You may see a little more moderation maybe in houses, more expensive houses, although I can tell you anecdotally, that people that I talk to all the time are saying that houses are getting snapped up. There are still the occasional bidding war, there are still places that are being sold over asking. Where the real action is right now though this year going forward, is in the condominium market because that again is affordable. And you’re seeing all these new condo launches. Here in Mississauga, there’s at least a dozen of them, where they sell out in a day, because people can still qualify and get a loan to buy these properties. So that’s it for now. Again, I took a lot of flack for the last video I did where people or these doomsayers wanted to me to say that the market is going to crash. But folks, it isn’t. Not unless one of those three factors change. If interest rates spike, that could create a serious problem. If immigration dried up, that would create a serious problem. And if the local economy tanked, that would create a serious problem, but I don’t see that going forward. I think we’re going to have a pretty good year. I don’t think you’re going to double digit gains, certainly not in houses, but prices are going to remain steady and they are probably going to edge upward as we go forward in 2019. Anyways, thank you for your time and attention. I really appreciate you watching my videos. Have a great day and we’ll talk to you again soon. We review the state of the Toronto real estate market in 2019, and offer three reasons why it won't crash.